Why Should You Be an IVAC Member? We are committed to helping our members connect, grow and succeed. 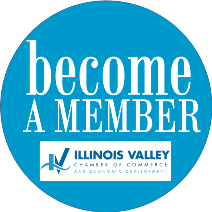 When you join the Chamber, you're instantly a part of the Illinois Valley's thriving business community comprised of over 400 organizations representing all sectors, industries and professions. Need a little assistance in updating your member profile? Check out the video below.